Long time no blog, I apologize for my lack of posts over the past couple months. I had to take a hiatus due to some unexpected personal issues, but I hope to get back in to the swing of things now. After pretty much not wearing makeup for the last 6 weeks I am excited to finally get in to Fall makeup! 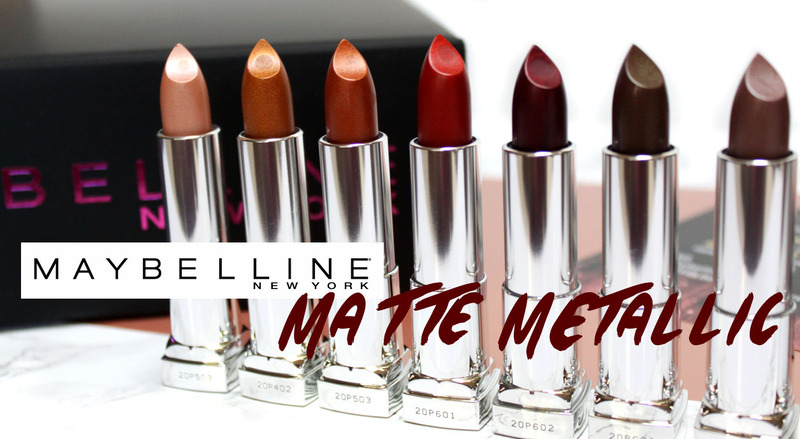 Metallic was huge over the Summer months and this trend has carried over in to Fall with the newest finish in the Maybelline Color Sensational line, Maybelline Matte Metallic. A collection of ten sophisticated brushed metallic shades for a wearable, refined matte metallic look. The Color Sensational Lipstick's are some of my most loved from the drugstore. Divine Wine and Touch of Spice are two of my most loved lipstick colors for Fall. I am not the biggest fan of matte's and metallic is notorious for going on patchy, so I was curious to see how these would fair. Also if they would be dupes for the MAC Metallic's or Tom Ford Soleil Lip Foil. Mattes go metallic. Sophisticated brushed metal texture in lavish metallic hues for your most sensationally gilt-y lip look. Available in 10 shades from hot lava and copper spark to gunmetal and silk stone. 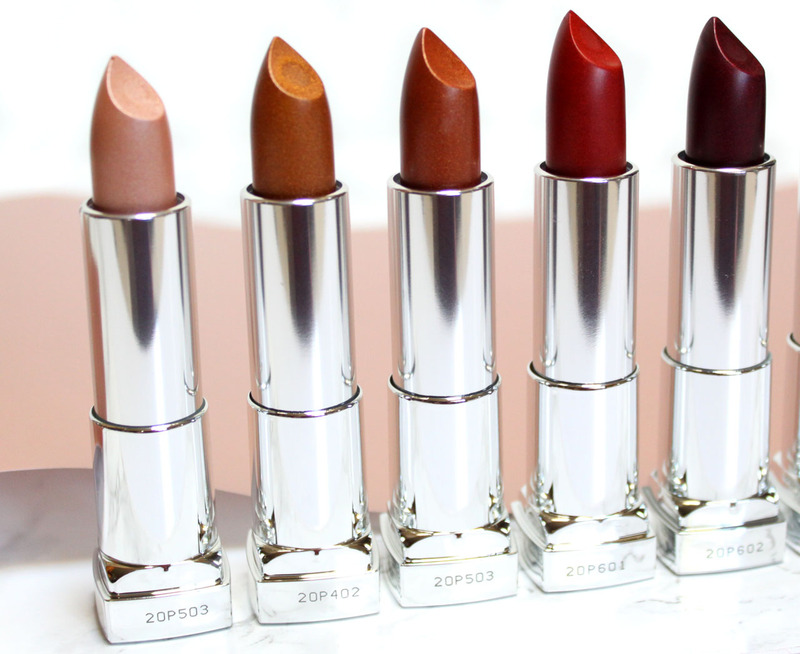 Formula wise these apply smoothly and glide across the lips with a comfortable creamy feel. They do not feel like a dry matte at all. Nor do they look that way, the tonal shifts and metallic sparkle give them tons of dimension. It took about two coats to build the color up to a full coverage level for most of these. Oddly enough, the last 5 "weird" shades applied much more evenly. The first four were drier and took more coats. There is a faint sweet scent to these that is a little more subdued than the regular line. Lasting power is as expected, just a few hours. For being mostly special occasion wear shades the staying power is pretty good. Matte Metallic is impressive not just as a drugstore lipsick, it can hold it's own against higher end ones thanks to the formula and color range. 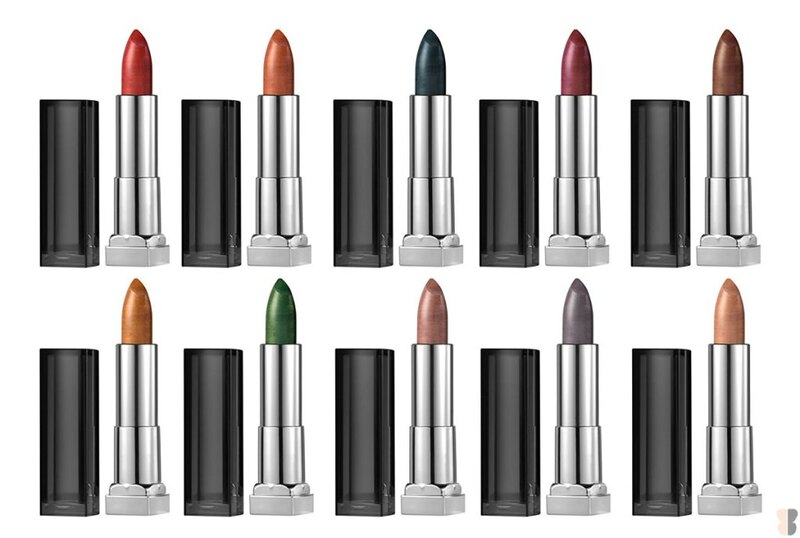 Take a bow Maybelline for being bold enough to put out these colors. It is so awesome to see this type of out of the box color range in the drugstore. When I first started doing makeup I had to mix loose eyeshadow pigments and gloss to come up with similar shades. To see such accessible, outlandish colors in an inexpensive price range fills me with cosmetic joy. I know there is a kid out there just like me throwing on a dark blue lip and becoming inspired to create with makeup. Because I am beyond my days of wearing blue and green lipstick I appreciate the more wearable earth tones in this collection. Copper Spark and Hot Lava are made for the Fall season, they just scream Pumpkin Spice and everything nice. BOXYCHARM's theme for October is Spellbound and it's filled with treats! Every month I get so excited when my Boxy arrives because it has been so dang good lately. I am continuously impressed by the value and quality of the products they put in their boxes for such a low price. Lets see what October has to offer! For $21mo. BOXYCHARM gives you 4 to 5 Full Size Products with a retail value of over $100. Free Shipping. Pore-perfecting technology at your fingertips, with a professional-grade micro crystal solution, that instantly deep-cleans and refines pores. This isn't the first time Boxycharm has put this in one of their boxes and I am happy to see the repeat. I love this scrub! 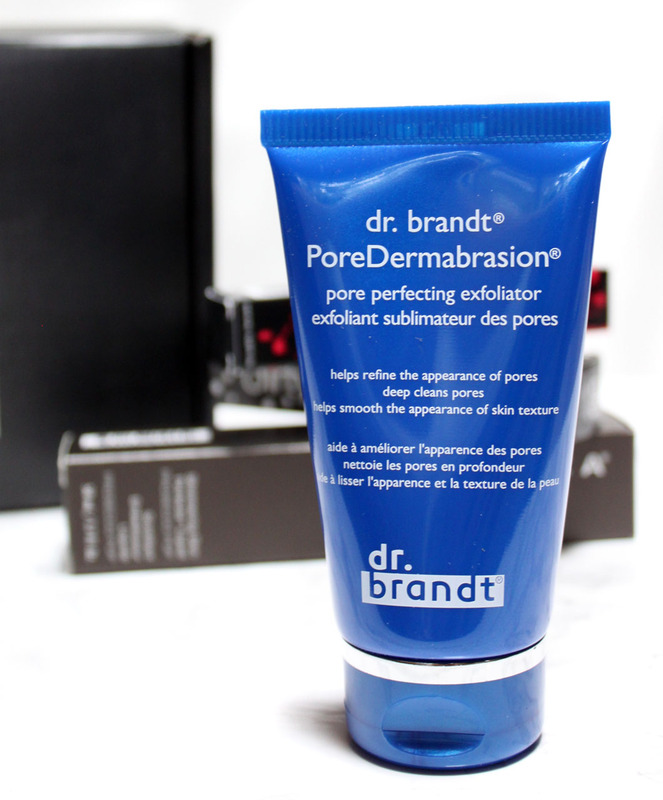 It leaves your skin so smooth and soft with a slightly blurred effect to the pores. Great, for oily skin. I was amazed to see this product in here! 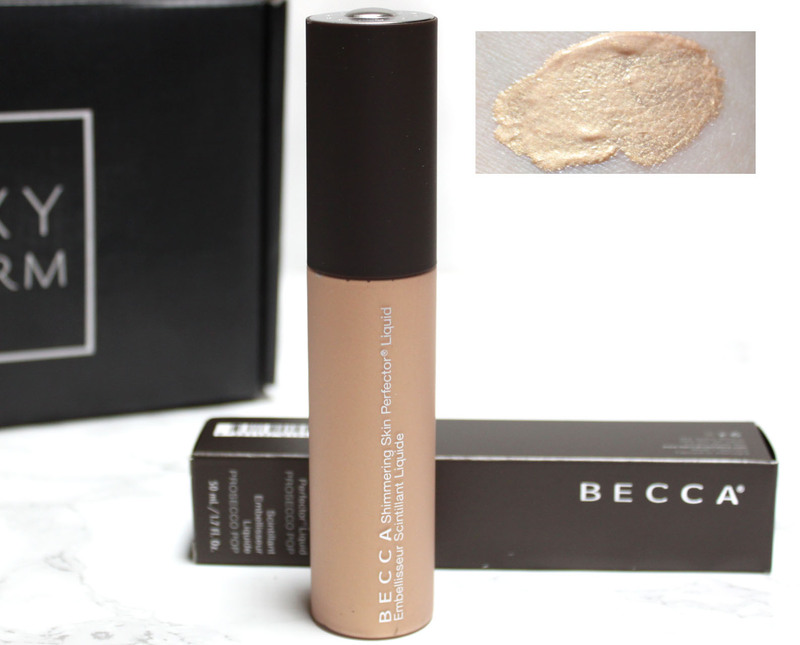 A full size BECCA product? Who are they BECCA's Opal is one of my favorite highlights ever. The dewy liquid luminizer helps you achieve a natural, effortless glow. Prosecco Pop is a stunning golden highlight. It was a little too dark for my pale skin, but I plan on gifting this to one of my medium/dark toned friends because it will look so gorge. 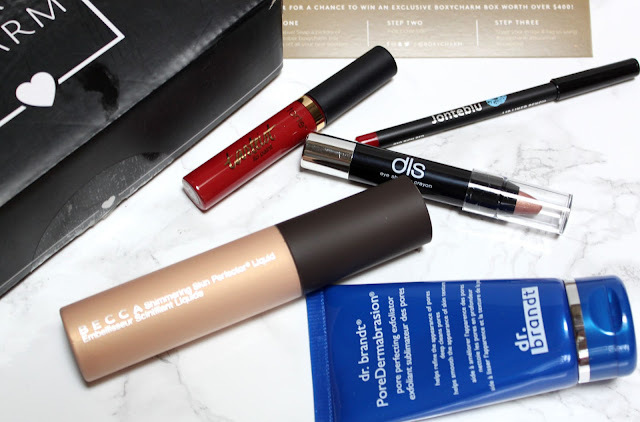 Seeing a third well known brand in here just sealed the deal that BoxyCharm is freaking amazing. 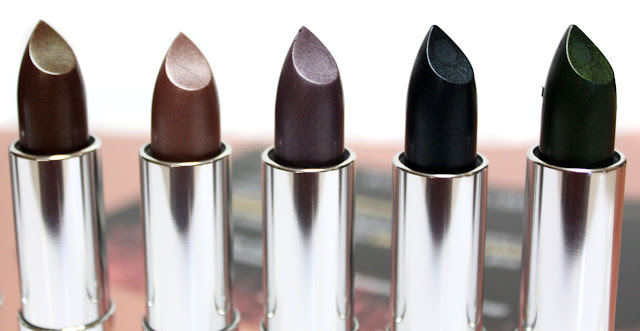 I'm a little tired of these matte lip paints and wish they would add more variety. What's wrong with a nice creamy lipstick ya know? I'm not a fan of these matte liquid lip's, but XOX is a gorgeous deep browny red. 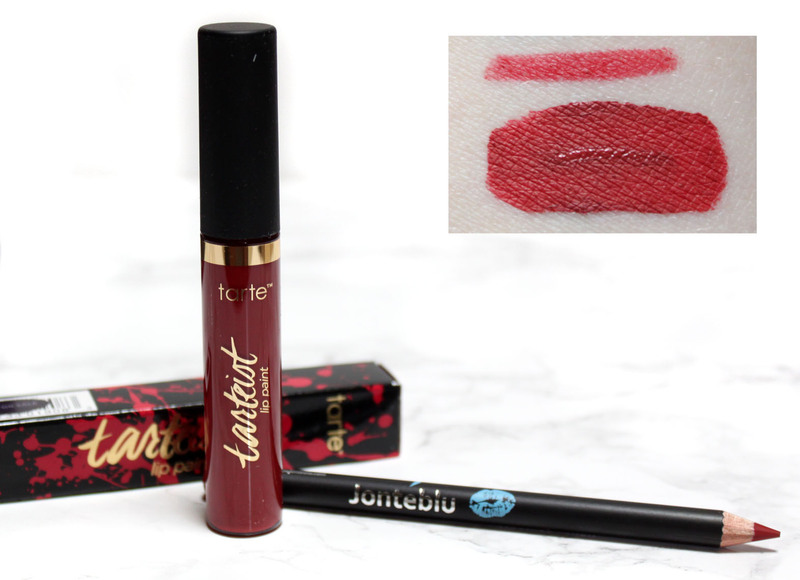 I don't think I've tried Tarte's yet, so maybe it won't feel like a desert on the lips. For 5 bucks this is a really nice lip pencil! 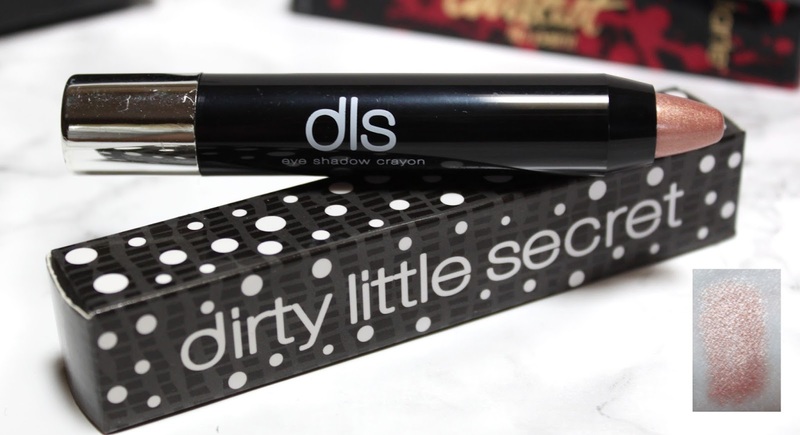 It's very creamy, highly pigmented that glides across the lips easily. This shade works perfectly with the Tarte XOXO Lip Paint. Dirty Little Secrets shows up in boxes quite often usually in lip pencils. This eyeliner pencil is quite nice. It's a creamy consistency and pigmented. The color I got was Illusion, a gorgeous rose gold champagne. A perfect lid color. Wow! Talk about an amazing Box! Last month we got a full size PUR palette, Bare Minerals Face Brush, and MAC Lingering Eyebrow Pencil and this month was even better! Well worth the $21. Can't wait to see what they have in store for the Holiday Boxes!